Victory day in Urmia. May 9, 2017. Part – 12. 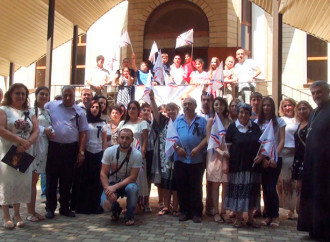 Celebration of the 72nd victory day in the Assyrian village Urmia in Russia. 9th of May 2017. Interview with the Assyrian singer Odisho Moshe. Part -11. 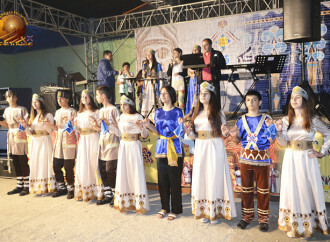 The Assyrian singer Odisho Moshe was invited to perform at the Khobba (Live) festival in the Assyrian village Urmia in Russia. Hagyana-atouraya used the chance to make this interview with him. May 9th, 2017. Festival “Khubba – 2017” – Urmia, Russia. Part – 10. Interview with the young Assyrian violinist Pavel Sadoyev from Moscow. Mr. Sadoyev participated in the Khobba (Love) festival in the Assyrian village Urmia in May 2017. Festival “Khubba – 2017” – Urmia, Russia. Part – 9. Interview with the young Assyrian opera singer Andrey Mikhaylov from Moscow. Mr. Mikhaylov participated in the Khobba (Love) festival in the Assyrian village Urmia in May 2017. Festival “Khubba – 2017” – Urmia, Russia. Part – 8. 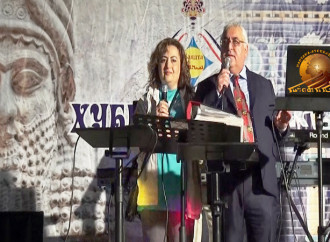 Samir Khoshaba from Sweden reading two Assyrian poems ”Nattore d’Karma” and “Brata d’Atour”at the Khobba (Love) festival in the Assyrian village Urmia, Russia. May 8th, 2017. Festival “Khubba – 2017” – Urmia, Russia. Part – 7. The Singer Diana Edigarova with the dance group ”Sawra” at the “Khubba” (Love) festival in the village of Urmia, Russian Republic. Festival “Khubba – 2017” – Urmia, Russia. Part – 6. 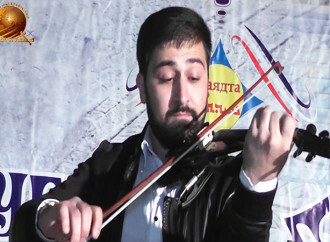 The young talented violinist from Moscow, Pavel Sadoyev, who brilliantly performed at the Urmia “Khobba” festival, that is held yearly in Urmia, Russia. Festival “Khubba – 2018” – Urmia, Russia. Part 1. Greetings from the Urmia village in Russia. last part. 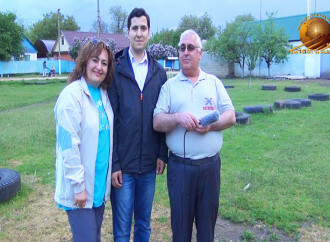 Interview with the couple Tamrazov and Tamrazova in Urmia. Part -1. Interview with Mr. Eugene Lopatin. 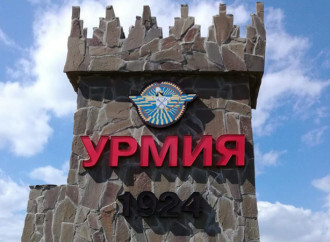 Urmia, Russia. Festival “Khubba” – 2017, Urmia, Russia. Part – 15. Festival “Khubba” – 2017, Urmia, Russia. Part – 14.